Now in its 8th year, the Irish Film Festival London has revealed its most impressive programme yet with exclusive previews, panel discussions and director’s Q&As confirmed to take place across 5 days in London. The festival, which takes place across a number of selected London cinemas, will run from Wednesday, November 21st – Sunday, November 25th. “Ireland’s place in the global film industry is growing year by year, whether as a location for some of the most high-profile productions of recent times, or through the extraordinary quality of the talent and output being generated. Having received a raft of quality submissions for the Festival, our 2018 programme genuinely has something for everyone, including fans of comedies and thrillers, soundtrack and live music aficionados, documentary devotees, through to young children and family audiences. “Once again, we have very strong female representation in the programme - in front of and behind the camera – particularly among the two shorts programmes, which indicates to me that the future of Irish Film will boast an abundance of world-class female directors and producers. IFFL 2018 opens on a romantic note with ‘Smithy & Dickie’, Hannah Quinn’s delightful short about Irish 1940’s love letters, followed by ‘Under the Clock’, directed by Colm Nicell, which tells the enchanting stories of a generation of people whose relationships began under one of Ireland’s most iconic landmarks, Clerys clock. The closing film is ‘We Ourselves’ starring Aidan Gillen, Catherine Walker, Declan Conlon, Paul Reid, Seána Kerslake, Gavin Drea, and Caitríona Ennis. Paul Mercier’s second feature is an intimate and intense journey into the minds and hearts of a group of idealists and careerists as they go their separate paths in life; though are still bound together through a shared experience, a shared culture and a shared nation. To officially launch the Festival, the Irish Film London Awards return to the beautiful setting of the Irish Embassy Ballroom on November 13th, honouring world-class Irish feature films, shorts and documentaries alongside Irish acting and filmmaking talent. Among the awards will be the annual Ros Hubbard Award for Acting, which identifies the performance of the year. Previous winners of the award include The Young Offenders’ Chris Walley and Alex Murphy. This year sees the addition of the Best Irish Music Video, in association with The Irish Jam. Irish Film London Patron and Academy Award-winning director Lenny Abrahamson returns to London for the festival, providing a pre-festival teaser with an appearance on Mark Kermode Live in 3D at the BFI (MK3D) on Monday, November 19th. He then joins his long-term musical collaborator Stephen Rennicks for a talk on music and sound in their films (‘Sounds Guys’, Thurs 22nd November), which will be followed by a screening of his latest film ‘The Little Stranger’, starring Domhnall Gleeson and Ruth Wilson. IFFL 2018 has plenty for the curious mind, with documentaries including ‘Poc na Gael’, in which Irish sporting legend Ger Loughnane traces the origins of Canadian ice-hockey all the way back to the Irish emigrant hurlers, and celebrates their legacy across the country today, and ‘The Lonely Battle of Thomas Reid’, (screening at Bertha Dochouse), in which a small Irish farmer goes head to head with US microchip Manufacturer Intel in a land battle. 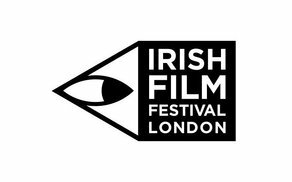 Part of Irish Film London’s mission is to support Irish filmmakers from the beginning of their careers, and this year’s line-up includes two programmes of Irish Short Films (Thursday 22nd & Friday 23rd November), full of up and coming Irish filmmaking talent. There will also be a panel discussion aimed at shorts filmmakers at The Union Soho as part of the festival, which reflects on the challenges and rewards of developing from shorts to feature films. For family audiences, the heart-waring ‘Grace and Goliath’, from Cinemagic and Tony Mitchell, screens on Saturday 24th November at 2pm, in which an arrogant Hollywood big shot, Josh Jenkins sweeps into Belfast to make a movie, but before long he finds he needs the help of the very people he’s been overlooking. As always, the festival’s Friday night film will be a special preview screening, from one of Ireland’s rising star directors, with details available only via the festival brochure or newsletter. In keeping with the political times, IFFL 2018’s Sunday 25th November includes an afternoon focused on Northern Ireland, and the tensions arising around the border. ‘Brexit: The Border Issue’ comprises a collection of short films on the topic, including the Financial Times’ recently commissioned ‘Hard Border’ from Juliet Riddell and Clare Dwyer-Hogg which opens with Stephen Rea’s “Jacob Rees-Mogg you're right. You don't need to visit the border... you need to have lived here.” Later that day Tom Collins’ bi-lingual drama ‘Penance’ reveals just what living in Derry felt like through the twentieth century, as a 1916 firebrand preacher priest later faces his demons during the 1960s era of The Troubles. In the first collaboration of its kind, IFFL 2018 includes a joint event with the UK Jewish Film Festival, the Irish Film Institute, and the Barbican, with ‘The Cohens and the Kellys’, an uproariously funny 1926 silent film based in New York’s poorer quarters, accompanied by a live quartet of award-winning Irish and Jewish musicians. The festival run from Wednesday, November 21st – Sunday, November 25th.